Is it a striking appearance? Stellar content? Data security and mobile responsiveness? All of the above and more, I’d say. 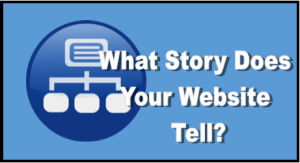 But one factor rises above all others: a winning website should tell a good story. The story should be compelling enough to draw readers to your site and hold their attention when they get there. It doesn’t have to be lengthy. In fact, the shorter the better. If it can be told with pictures only – and no words at all – even better. And here’s the most important thing to remember: you are not the main character in this story. Your clients and potential clients are. Many lawyers mistakenly make themselves the star of their web story. They tell us about their awards and accolades. They offer numbingly-detailed biographies. They show off their fancy digs. In so doing, they miss a golden opportunity to show people how their lives can be improved simply by clicking a button or making a phone call. 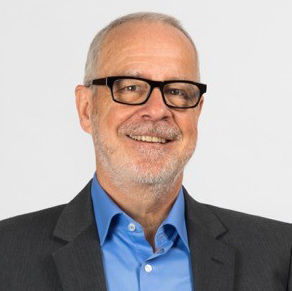 Sam Glover, founder and editor of Lawyerist, says beyond the imperative of being client-centered, there are no hard and fast rules for lawyer websites. The right design is one that gets the desired results for your firm. They make it easy on visitors. They have a well-defined goal. They highlight a clear call to action. They are mobile-friendly, meaning they look great even on the small screen of a phone. Each year, Glover publishes a Top 10 Lawyer Websites list. Criteria for his selections include best practices for website design, basic search engine optimization and website security. Here is his 2017 list. One site has an elephant on its landing page. Another evokes images of sherpas in the mountains of Nepal. Striking front page and bold lawyer bios and copy. SSL to protect clients’ privacy. Communicates a strong narrative theme. Bold visuals and a clear brand message. Polished – exudes competent professionalism. Clear calls to action – not the usual pop-ups and flashing animation. So what about your website? What story does it tell?